iBall Andi 4.5h company’s one of the most successfull device got rooted by us months ago. Then came the 2 most famous recoveries for it Clockworkmod and TWRP recovery. 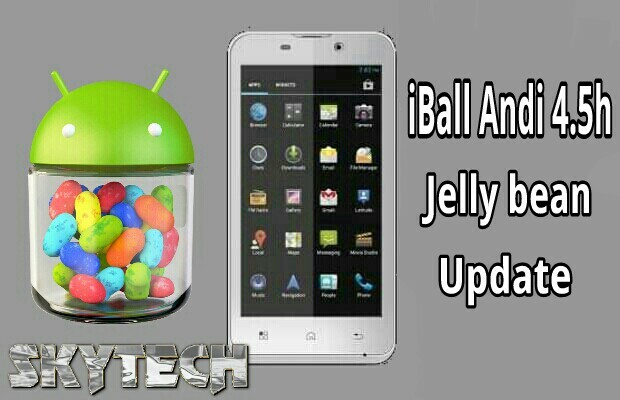 iBall didn’t forgot to provide it customers the Jelly bean update and the update was also released a few days ago. 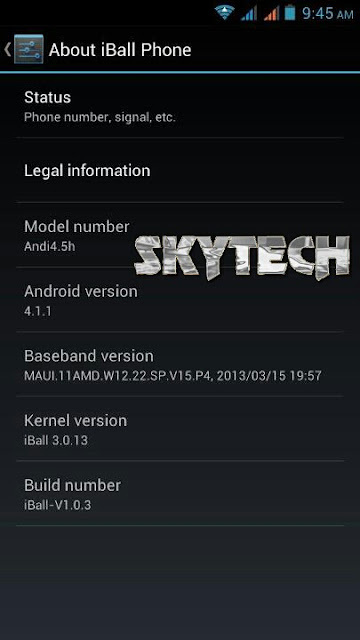 But not all the customers are able to go the service center for upgrading their devices to Jelly Bean 4.1. So here we are with a guide for How to upgrade iBall Andi 4.5h to official Jelly Bean. Note:- Take a backup of your Contacts, SMS, and Apps etc for safety. 2. Boot into TWRP recovery (no clockworkmod) and take a backup of your current ROM. 3. Reboot the device and paste the extracted file (backup folder) next to your backup folder situated in folder TWRP/backups. 4. Again boot into recovery and perform Wipe data factory reset, Wipe cache, Wipe dalvik cache and Wipe system. 5. Now select Restore and then select the jelly bean rom dump downloaded. And it will start installing the Jelly Bean on your device. Enjoy your iBall Andi 4.5h running Android 4.1 Jelly Bean.